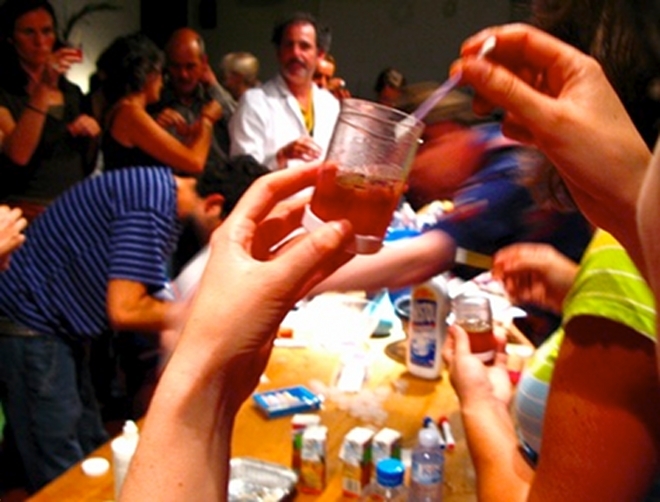 Renowned bioartist Adam Zaretsky (US) leads a hands-on lab in Pixelache Festival entitled: 'How to Extract DNA from Anything Living in the Laboratory or in your Kitchen: A Compare and Contrast Vegetarian Laboratory and Hobbyist Workshop’. It will include a bio-political discussion on the difference between whole plant preparations and purified, ‘isolated’ extracts, with a risk assessment of intentional release ‘utilisation’ of Hybrid DNA. The workshop will take place in Kiasma Seminar room on Saturday 27th March, from 1730-1900, and is free of charge. Held in English language, it has a limited number of spaces for involved persons (Maximum 25 participants), although another 15 are welcome to watch the proceedings. Please register before 25.3. Look here for more information.